If you're one of those, who feel nostalgic when thinking back to the days of proper arcade gaming, you know how essential the arcade stick is. When you play a first person shooter, a mouse and keyboard setup just feels right for some reason. Today's digital game controllers are perfect for platform games, etc., but if you want to enjoy those fighting games and arcade classics, you need the proper tools for the job, and that's where the arcade stick comes in. 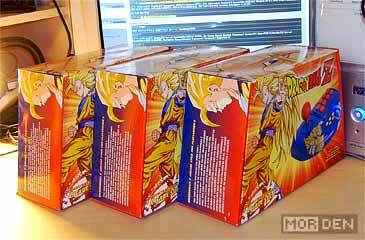 I know that's some introduction to an entry featuring photos of Dragon Ball Z sticks, but you have to start somehow. When it comes to arcade sticks, you have to spend big to get the quality that comes anywhere near the arcade experience. It's all about the genuine parts, proper button placement and weight. The hardware I bought fails to qualify in almost all of these categories. While I could accept the button placement, which is not unlike the Neo Geo setup, only double, the buttons themselves are terrible. They have this toy feel to them, and since they're mounted on top of a single PCB with rubber contacts, they don't feel like arcade buttons at all. The stick is no different. While it does seem pretty solid, the four plastic contacts make the movement extremely choppy, especially on the diagonal. Why in the world would I buy these then? The answer is simple: They were $6.50 a piece. The price doesn't make it better if they're completely useless, right? Right, but they're not useless. On the contrary. These controllers are perfect if you're planning on building your own arcade stick. If you are, and you're planning on using it with the PlayStation 2, such a controller is a perfect base for your hardware, since you have the interface ready-made. 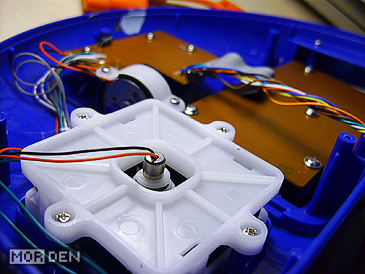 All you need is a new box and proper parts, preferably Sanwa, which are really good and not all that expensive. The best stick Sanwa has to offer will set you back less than $20. If you're not into arts and crafts, you can always buy one of those "high grade" sticks, which usually cost around $150, but that's a waste of money in most cases, especially if you're considering the overpriced X-Arcade, which uses knock-offs of Happ parts. 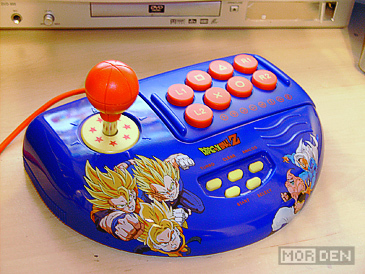 Get yourself a cheapo Dragon Ball Z stick, an Astro City template, build a box and you're all set. Quite frankly, buying a whole two player Astro City panel will probably be cheaper than some high graders out there, and you can't even compare the quality. 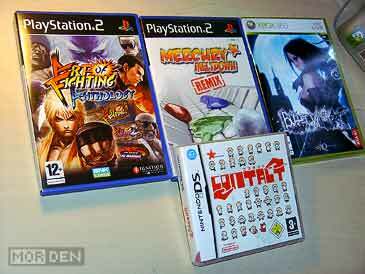 Aside from cheap sticks, I bought some new games. I'm a sucker for SNK's compilations, so I got myself the Art of Fighting Anthology, which will join other anthologies, including the Metal Slug one. I also scored an incredibly cheap copy of Mercury Meltdown Remix, for which I paid a whopping $3.90. It's a great game by the way, so if you spot it for cheap, get it. I finally bought a copy of Bullet Witch, which I know isn't that good a game, but I always wanted it, and last but not least, Contact for the Nintendo DS. I usually stick to the less time consuming games nowadays, but I will find the time to play Contact, and that's a promise. 2010.01.31 Sun PlayStation ☆ PSP Comment Tweet This! Custom firmware for Sony's PlayStation Portable has been around for a while now, and while at first the installation was made possible by the use of various exploits, later on, the only full proof method to flash the PSP firmware was via the so called Pandora's Battery. 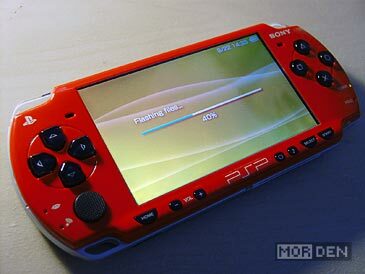 There was one problem, though - While you could easily put a battery in Pandora mode on a console which already had the custom firmware installed, it was trickier for those with newer models and without a second, flashed PSP. Up until now, the only way a battery could be converted was by the means of hardware modification. The battery had to be taken apart, and this alone was quite risky, as it can be very easily damaged. 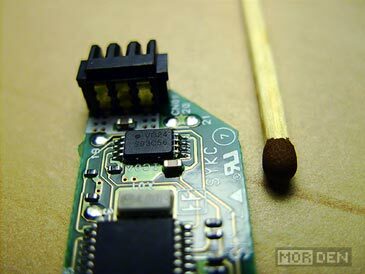 After that, fourth pin on the EEPROM chip had to be lifted from the PCB - This would put the battery into service mode permanently, so naturally, if we wanted the battery to work again, the pin had to be soldered back into place. The main problem here is the extremely small size of the chip and the fact that it's always live, since it's powered directly by the battery. To give you the idea of scale, I took a picture of the PCB alongside a regular match. Ever since the hardware modification became popular, so called tool batteries started showing up. 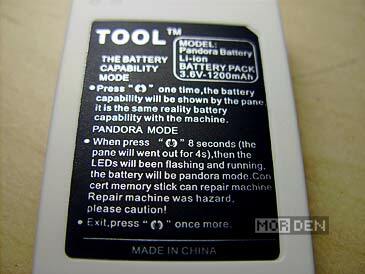 Manufactured in China, these were single mode Pandora's Batteries, which could not be used as a regular power source for the console. Despite this, regular batteries were still the preferred choice and those with good soldering skills would simply attach a micro switch, allowing the battery mode to be changed at any time. 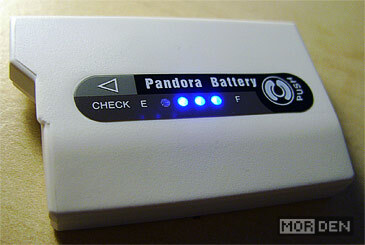 Because of the obvious demand, Chinese manufacturers went to work, and created a dual mode battery that, similarly to those with micro switches, could be put in Pandora or in normal power mode by a simple press of a button. I've never bothered to acquire one of the so called tool batteries, since it would be pretty much single use. I'm glad I waited, though, since now the perfect solution is finally available, at a really low price. The mythological Pandora's Box is synonymous with the ultimate evil being unleashed onto the world. I'm not sure who was the first to call the service mode battery by that name, but even though it does give console owners a possibility of booting pirated games, at the same time it opens the door to homebrew games and applications. It's a shame that companies don't give hobbyists legitimate ways of creating original software, and that homebrew always has to be associated with piracy, but that's the way it is and there are no two ways about it. Probably the most attractive feature available, once we install custom firmware on the PSP, is the ability of playing old PlayStation games. The console, with a little help from homebrew tools, runs old Sony titles almost as good as PlayStation 2 did, sharing its incompatibilities with a few chosen titles. This feature alone is a reason enough to get a custom firmware installed. I rarely pull out my old PlayStation but even then I have to sit in front of a TV, with a controller in my hand. 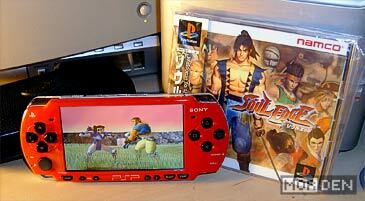 Playing these games on PSP is a whole new experience and every PSP owner should try it. So that's that. 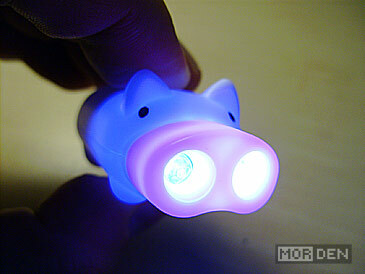 I gave myself a gift of emulation, homebrew and classic PlayStation games, and when I was buying the battery, I even got myself a tiny pig flashlight with two super bright white LEDs installed in its snout. If you're a PSP owner and you haven't had the chance of installing the custom firmware, get yourself one of those batteries and give it a go. The best thing is, you can always revert your console to its original state. 2009.09.25 Fri PlayStation ☆ PSP Comment Tweet This! Last month I bought some really cheap games, and then I bought some more. This was due to a local store selling off all the old titles and those that just wouldn't sell for one reason or another. I pretty much swiped everything that was playable, but recently I went back to see if they added some new titles to the bargain bin, and they did. Nothing too exciting, but still a great bargain - four items for $20. 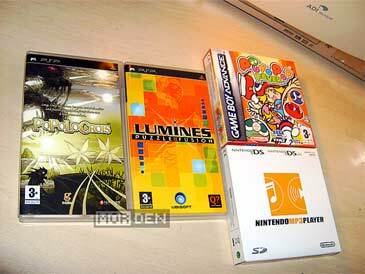 I bought two PSP games, Popolocrois and Lumines: Puzzle Fusion, one GameBoy Advance game, Puyo Pop Fever and one useless gadget, an mp3 player for use with GameBoy Advance or Nintendo DS. I chose this last item only so that other three would qualify for the bargain deal. Who doesn't love a solid Tetris clone with a bunch of new ideas, lovable characters and better graphics? I know I do. I've been playing Puyo Puyo since, well, forever. It's certainly a great game, but it suffers the same problems as Tetris - It doesn't really change over the years. 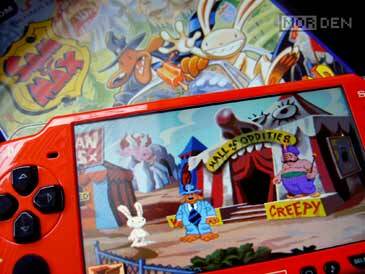 You can add more characters, you can compose a new and catchy soundtrack, but at its core, the game stays the same. Such is the deal with Puyo Pop Fever, which, aside from fever mode - a combo chain opportunity that will most likely crush your opponent - doesn't offer anything new. 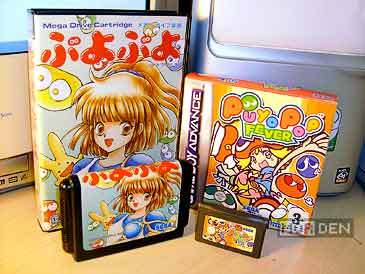 Plus, I already own Puyo Puyo Fever for the Dreamcast, and the GameBoy Advance version is pretty much identical. I spent alot of time playing Fever on Sega's last console, so I'll probably spend some time with the pocket version of the game, and besides, who wouldn't buy it for $5? 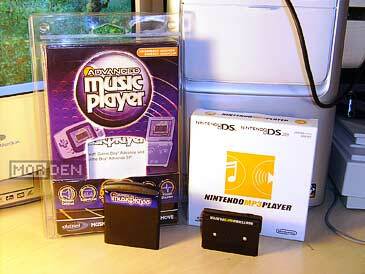 Next item on the list is the official Nintendo mp3 player. I once made a mistake and bought Datel's infamous Advance Music Player for GameBoy Advance and I promised myself never again to purchase an equally useless gadget. Whoops. I was facing a choice of buying the mp3 player, or getting one of the EA sports games, so I went with the lesser of two evils. I'd rather own a gadget I know I won't use, than own a EA sports game I know I will not play. I did examine the device and it does look like a more thought-through product than that of Datel's. Instead of connecting directly to the PC via a USB cable, Nintendo's player features an SD card slot and it comes with a built in headphone jack, solving the problem of poor sound amplification. Datel's Music Player required special drivers to be properly detected by a PC computer and the player program was so unstable, it couldn't even handle file transfer without corrupting the data in most cases. Useless to me as it may be, Nintendo's solution proves itself superior in every aspect. One weird thing, though - The device compatibility chart printed on the box lists the player to be incompatible with both GameBoy Advance and SP, but it is supposed to work with GameBoy Micro. I tested this myself and the player does in fact work fine with GameBoy Advance SP, so I don't know what the deal is here, but if you own a regular GBA or an SP and you want to get such a device, rest assured - it will work. Last, but not least, two new PlayStation Portable titles. One more puzzler and an RPG game. I have to admit, I don't have much time for RPG games these days, but I always wanted to get Popolocrois and I'm glad I could get it for cheap - Not that the game isn't worth more. I'm almost always choosing old-school 2D RPGs over the high budget 3D ones. There's more to a story driven title than fireworks, and if a game like Suikoden can work better than any of the Final Fantasy titles, graphics-wise being on par while SuperFamicom productions, I think there is a strong point to what I've just said. Popolocrois is a pixly, isometric treat and I hope I will find time soon to play it. The series has enjoyed a lot of success in Japan during the PlayStation days, and now, I can enjoy two of the PSX games compiled into one story. 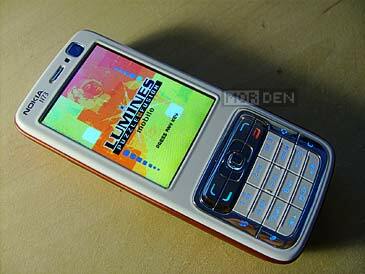 And then, there's Lumines. I love all of Tetsuya Mizuguchi's work. One could say he's all about rhythm, simple but expressive visuals and addictive game play. This has been the trademark of Space Channel 5 and REZ and it's the same with Lumines. While being a puzzle game, it still manages to incorporate music into the game to the point that the two are inseparable. 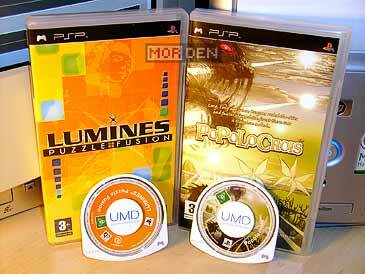 I never owned the original PSP Lumines, so I'm glad I finally got to buy it. I did however spend some time playing it on my mobile phone, but Gameloft's J2ME counterpart is no match for the visuals and sound of PSP. Aside from the mobile phone game, I also spent alot of time with freeware Lumines clones, the first and most important one being Block Smash - a freeware homebrew game released for the Dreamcast. 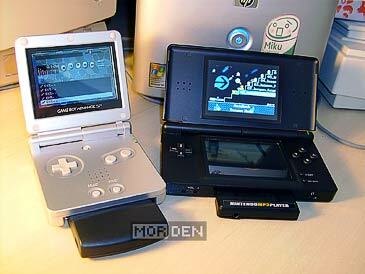 I did also play Gleam on GameBoy Advance, which is another homemade clone. Like I said however, none of these, no matter how good, are a match for the original, and playing the real deal made me realize I've been missing out. 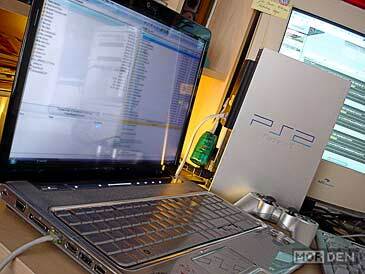 2009.07.29 Wed PlayStation ☆ PSP Comment Tweet This! Memory cards with limited storage capacity are a thing of the past and today, no company would dare to sell a console, which forced its user to purchase a separate, custom made 256 megabyte flash drive. Unfortunately, when Sony designed their PlayStation 2, they thought that making us buy 8 megabyte memory cards was totally okay despite having the MemoryStick solution on the market for two years already. Naturally, everyone was running out of space. PlayStation 2 has two USB ports, but guess what - you can't use them for anything, except for the licensed peripherals. Just when you thought you can use your pen drive to store the save states, the reality kicks you in the head. Luckily, there is a way of transferring the files from the memory card to your PC via an FTP connection. That's what I always do when I'm running low on space. 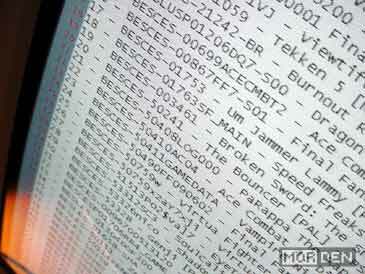 The save files are stored in directories named after serial number of the corresponding games. Sometimes the name will contain some letters which will hint at what the save is, but normally you have to figure it out. So that's what I occupied myself with today. I backed up all the save files, cataloged them and now I can start filling the card up yet again. In other news, I scored another $13 deal and got myself four PlayStation 2 titles - This is the direct reason why I'm emptying my card. 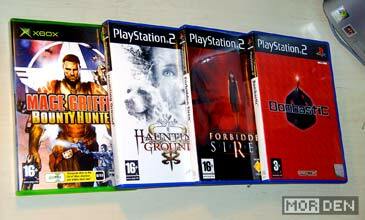 The newcomers are: Mace Griffin: Bounty Hunter for the Xbox and Haunting Ground, Bombastic and Forbidden Siren for the PS2. I loved Devil Dice, so I'm really glad I scored a copy of its sequel, Bombastic. Sixteen games in under two weeks. Nice. 2009.06.26 Fri PlayStation ☆ PSP Comment Tweet This! As you have probably already noticed, lately I've been buying alot of compilations of older titles and precious few fresh games. I still haven't bought Gears of War 2, Mad World, Resident Evil 5 and Street Fighter IV - I did buy a whole bunch of compilations though and the reason for that is simple: You get alot of games for your money and since they're arcade oldies, it's easy to play for a bit and move onto something else. 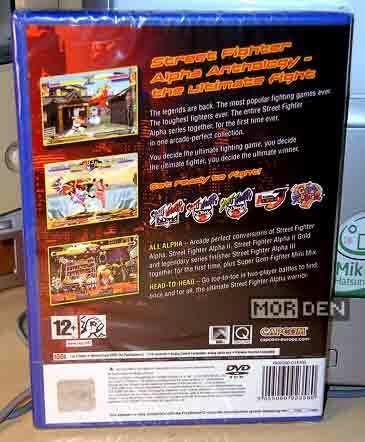 I've been planning on buying Street Fighter Alpha Anthology [or ストリートファイターZERO ファイターズ ジェネレーション in Japan] for a while. I do own all of these games, most of them for Sega Saturn, but I've been very pleased with the recent Capcom compilations, full of extras with perfect conversion quality, and I thought it would be convenient to have all these games on a single disc. 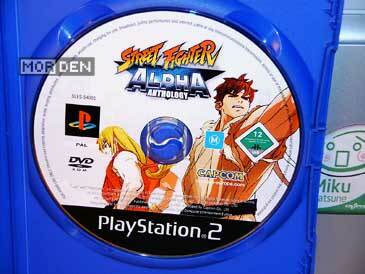 Street Fighter Alpha series had a slow start, with the first game not living up to expectations. 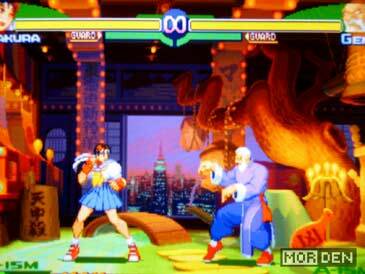 It was, after all, a Capcom original, and those who were waiting for Street Fighter III to finally appear wanted something new, bigger and better. That wasn't exactly the case with the first Alpha game, but it sold well enough to spawn sequels, and that's where the fun begins. 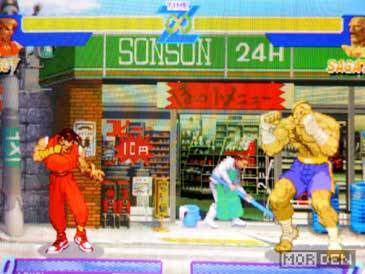 The series took off when Street Fighter Alpha 2 appeared on CPS-II. 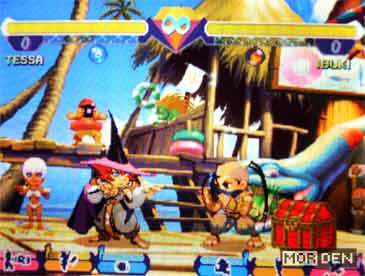 Improvement over the first title was noticable - Capcom had fine tuned the fighting system, added more characters, worked on the design and turned the ugly duckling that was Alpha, into a beautiful production that any fighting game fan would like to lay his hands on. By the time Capcom released Alpha 2, it was clear that they had another strong franchise on their hands and so, everyone waited for the third game. 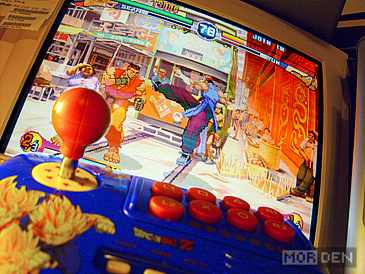 Instead of getting Alpha 3, we finally saw Street Fighter III: New Generation, that was released on Capcom's brand new, state of the art arcade board, CPS-III. All eyes were on Capcom's new hardware and many of us were already imagining what could be acomplished with this new technology. First two Street Fighter III games were a moderate success and so Capcom went back to their Alpha to develop a third installment. Instead of using the brand new CPS-III, the game was written for CPS-II. This was an unexpected move on Capcom's part, but they have managed to squeeze out every last drop of processing power contained in their now dated hardware. Street Fighter Alpha 3 was a huge success and it is safe to say that while first two games did ok, it was Alpha 3 that put the series on a pedestal. It turned out that Capcom needed three tries to make a promising game perfect. 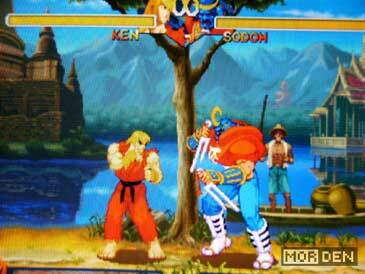 The exact same thing happend with Street Fighter III, where it was 3rd Strike that made all the difference. 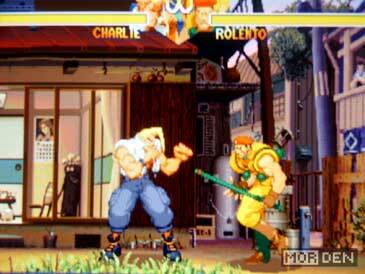 The story of Alpha series takes place before Street Fighter II, so it's a prequel. 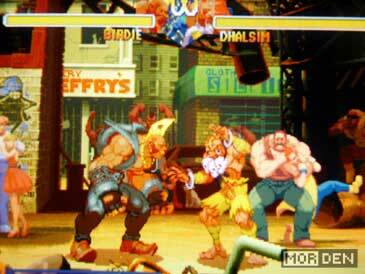 Some characters were brought in from the first Street Fighter game, some came all the way from Final Fight series. It worked. The minute I saw Alpha 2 at an arcade, I was hooked for good. The speed was there, the game looked sharp and the anime-esque art seemed so fresh, I couldn't help but throw in one coin after another into the machine. Obviously, I have alot of fond memories of the Alpha series, and as a seasoned player, what do I think of Capcom's compilation? I think they did pretty good. All the games are here, and you can even switch between different hardware revisions of each title. The only thing that bugs me is why the hell they call it Alpha and not Zero, like Japanese do? This is a minor issue, I know, but I always liked Zero better and I can never get used to the Alpha. Besides, it's only logical to call the series Zero, since it's a prequel, taking place even before the first game. Capcom always used numbers in the titles, and zero was a number, last time I checked, while alpha is not. 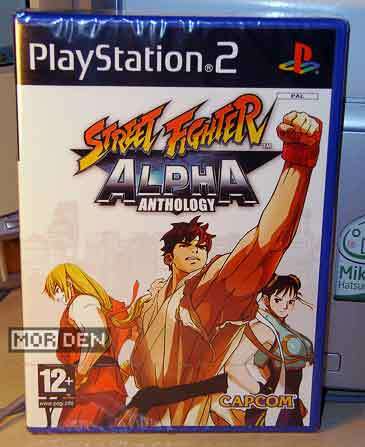 So, once we boot the disc, we can start Street Fighter Alpha, Alpha 2, Alpha 2 Gold, Alpha 3 and Super Gem Fighter, a CPS-II super deformed take on the Street Fighter series - really enjoyable too, with a potential for a good party game for people who don't really like beat 'em up's. There are several other things that can be unlocked or uncovered, like Alpha 3 Upper, which can be accessed by pressing and holding the select button, while starting Alpha 3. 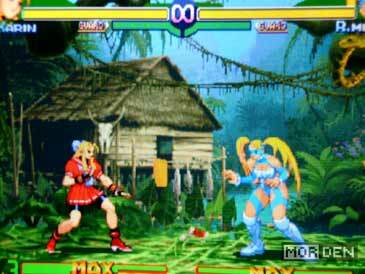 This gives us the full character roster seen in console versions of Alpha 3. Sadly, World Tour mode didn't make it, but this compilation consists of arcade titles and World Tour was a console exclusive. If you don't own the Alpha games, here's your chance to buy them all at once for a reasonable price. The PAL version supports 60Hz refresh rate and progressive scan, Alpha 3 Upper is unlockable, so if you're one of those who, except for the ISM's, likes to fight in Mazi mode, you're covered. I will complain about Super Puzzle Fighter not being included. This game belongs here and Capcom knows it. 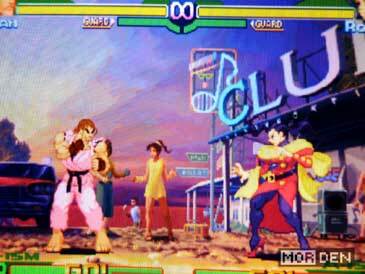 Also, I'm missing the professional feel of Capcom Classics Collection. I really would like to see separate artwork section for each game, a separate music player that shows BGM titles and things like that. Not to mention some nice video tutorials. Still, all in all Alpha Anthology is worth your money. Get it. 2009.03.12 Thu PlayStation ☆ PSP Comment Tweet This!